OE upgrade spark plug originally found in the Audi RS7/RS3. Specifically for modified engines with bolt-ons and ECU software upgrades for VW/Audi 1.8T/2.0T Gen3 applications. OE upgrade spark plug originally found in the Audi RS7/RS3. Poor idle, low fuel efficiency, and engine misfire codes are all symptoms of worn spark plugs. Replace yours with quality parts from an original equipment supplier to get your engine running as well as possible. This plug is the solution for all of these problems. Over the years, the electrode wears away on spark plugs, causing too large of a gap and weak spark. Additionally, excess carbon can build up and bridge the gap to negatively effect performance. Replace yours with this factory-like unit to regain your power, fuel efficiency, and smooth a poor idle. Specifically for modified engines with bolt-ons and ECU software upgrades for VW/Audi 1.8T/2.0T Gen3 applications. This plug is one heat range colder than OE, this helps prevent pre-ignition and other misfiring issues that may be caused by the increased level of fuel/compression in modified engines. 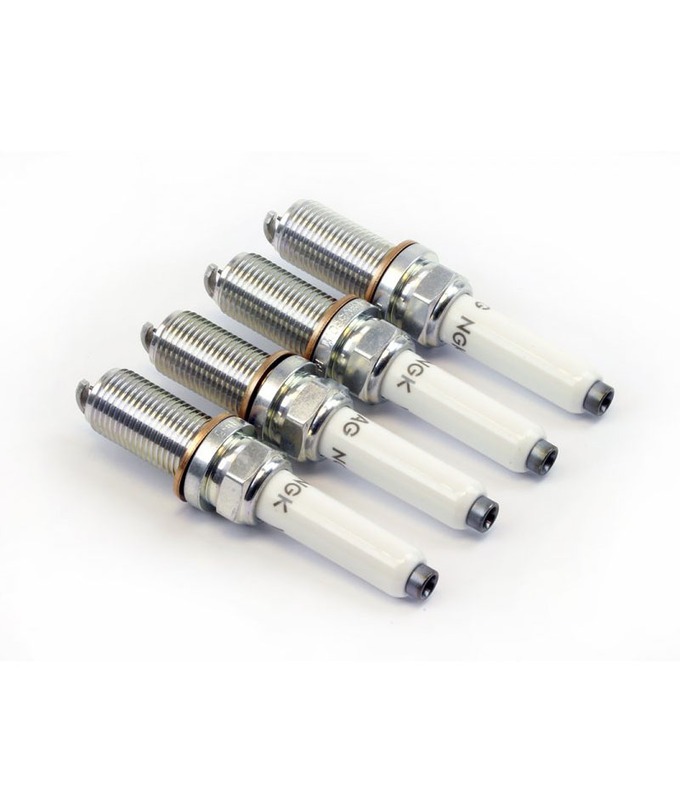 Sold with the latest version, “601M” spark plug manufactured by NGK.